Sometimes I feel like I am just running through the motions. Days blend into each other with work, chores and social obligations. Don’t get me wrong, I love my work, my friends and family and I even love most of the chores I have to do. But sometimes I just forget that I love them, or maybe, why I love them. Sometimes I just need to take a step back and evaluate my life a little to realise again what is important to me and why. I believe it is important to know what makes you happy and what you love to do, because then you can seek those things out and structure your day around them. This is the core of what lifestyle design is about. When most people think of lifestyle design, they just picture some smuck on a beach drinking cocktails or going on some bizar adventure. Lifestyle design is also only doable by very wealthy people because they don’t have to work. But lifestyle design is so much more, and available for everybody. Lifestyle design is also not something complicated or difficult, although, it can be difficult depending on your situation and mindset. For me lifestyle design is about organising your life in such a way that makes you happy on as many fronts as possible; socially, the environment you live in and your daily activities. You can have big dreams for all or any of these three fronts, but it can start small. You just have to discover: What do you love? When you discovered that, you can take action and try to structure your life around that. Picture above: Good food is definitely very important for me and part of my lifestyle design. 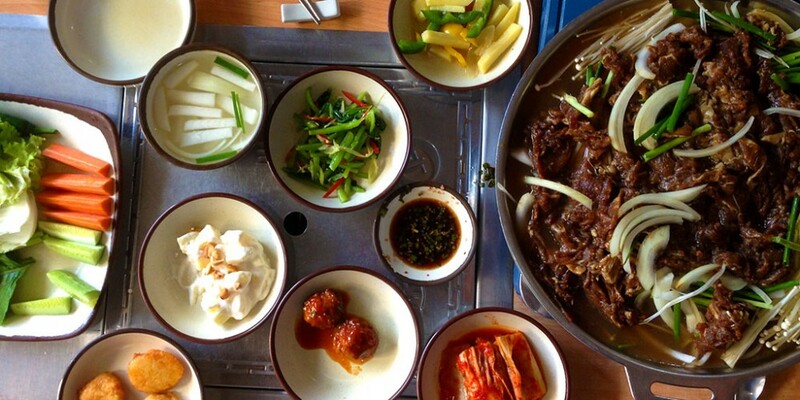 This is our lunch in a Korean restaurant in Ho Chi Min City, Vietnam.